Nico Yennaris made just four appearances for Arsenal. 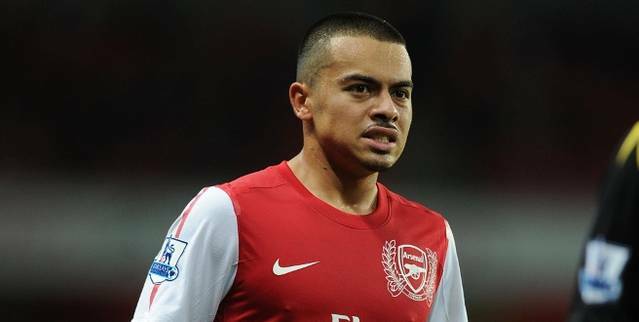 Arsenal’s Nico Yennaris has joined League One side Brentford for an undisclosed fee. The 20-year-old midfielder made just four senior appearances in a ten-year stay at Arsenal. He was sent on loan to AFC Bournemouth earlier in the year but failed to make an appearance for Eddie Howe’s Championship side. Mark Warburton told Brentford’s official website: “Nico is a player we have watched for many years as he has come through the Academy at Arsenal. “He is a very talented player, technically good and physically sound. He has a real tactical astuteness for a young player. “Nico has shown great flexibility in terms of positioning, appearing for Arsenal at right-back, left-back and in midfield. “Nico is in the same age category as George Saville, Jake Bidwell and Marcello Trotta. Yennaris’ time at Arsenal will be looked at most fondly for his part in the Gunners’ Premier Academy League winning season when he was a first-year scholar and his thunderbolt strike against Inter Milan in the NextGen Series in March 2013. Yennaris has signed a two-and-a-half year contract with the Bees and could make his debut against Bristol City tomorrow evening.